How the pharmaceutical industry has captured US trade and foreign policy. 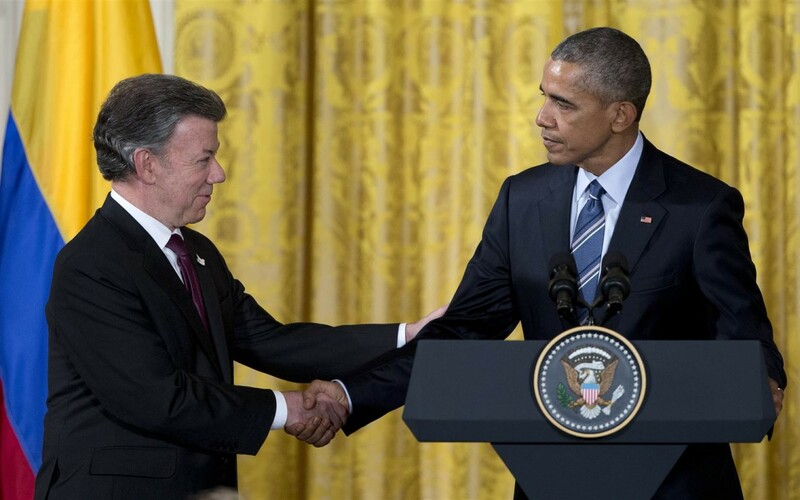 Supporting a peace deal in Colombia is one of the Obama Administration’s top foreign policy priorities this year. The Colombian government is on the verge of concluding peace negotiations with the Fuerzas Armadas Revolucionarias de Colombia (FARC) guerillas, raising hopes that this hemisphere’s longest lasting and only remaining internal armed conflict may soon come to an end after more than 50 years. In February, President Obama requested over $450 million from US Congress to support effective implementation of a peace deal. So it came as a surprise to find out recently that some in the Administration and US Congress have indicated that US aid for “Peace Colombia” may be at risk due to actions by Colombia’s Health Ministry to use a public health policy to promote generic competition in order to lower the cost of an expensive leukemia drug. 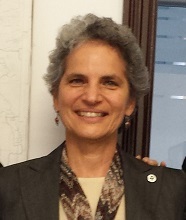 The Huffington Post reported that two letters were sent in late April by the Colombian Embassy in Washington to their Foreign Ministry describing perceived pressure from US Congress as well as the US Trade Representative (USTR) regarding Colombia’s preparation to issue a compulsory license on the cancer drug, Imatinib, that is marketed in Colombia as Glivec. A compulsory license is a mechanism recognized by the World Trade Organization (and commonly employed by the US for a range of technologies) that authorizes a government to introduce generic competition for a patented product in exchange for royalty payments to the patent holder. Embassy staff referred in particular to a meeting with Senate Finance Committee majority staff, who they said denied that Colombia had the right to issue the compulsory license, and expressed concern that doing so could threaten approval of US aid for Colombia’s peace process. Oxfam joined over 120 others to send a letter to Colombia’s President Juan Manuel Santos in support of his government’s initiative to declare access to the cancer drug to be a matter of public interest, thus paving the way for the government to grant a compulsory license on the patent for Glivec, which is held by the Swiss pharmaceutical company Novartis. Such public expressions of support in Colombia for this legitimate and legal public health measure help reinforce the government’s will to defend its right to health in the face of bullying by the pharmaceutical industry and some US officials. Colombia’s Minister of Health, Alejandro Gaviria, referred to the compulsory license as “a question of survival” and explained that the country’s health care system guarantees patients access to all approved drugs, but the budget is strained due to the high price of medicines. The Ministry estimates the government would pay an additional $15 million annually for Glivec without generic competition enabled through a compulsory license. Why is this happening now? Glevic (marketed in the US as Gleevec) is the top-selling drug of Novartis, bringing in $4.65 billion revenue in 2015 and helping to make Novartis the world’s top pharmaceutical company in 2014 in terms of global sales. But the patent expires in the US this year, when generic competition will kick in and thus reduce Novartis’ revenues from the drug. Yet the patent will continue in effect for another two years in Colombia. So essentially, Novartis wants patients in Colombia to pay more for the drug than patients in the US. While that may be good business for Novartis, it is deplorable public policy. And given all of the public funding and incentives that pharmaceutical companies receive from governments, they should not be able to put profits above patients’ health. It is also worth noting that Novartis just announced a restructuring in which it will split its pharmaceuticals division into two business units, one focused just on cancer drugs. As Novartis positions itself to reap the greatest profits from cancer therapies, it probably sees Colombia’s action as an obstacle to expanding its revenue stream. But there is no legitimate excuse for USTR or Members of Congress to subvert broader foreign policy as well as public health interests by further protecting the pharmaceutical company’s monopoly power to keep prices high. While USTR has denied it has tied funding for “Peace Colombia” to whether or not a compulsory license for the cancer drug is issued, it is very clear that this threat was implicit. It was understood that it was understood. Oxfam joined Public Citizen, KEI and Health GAP to send a letter to Finance Committee Chairman Senator Hatch to request public clarification of this matter following the meeting that his Committee Staff held with Colombian Embassy representatives. But no public clarification has been forthcoming. This is not the first time that the US Trade Representative and Senator Hatch have sought to use all available mechanisms to bully countries so that they refrain from using legitimate public health flexibilities, such as compulsory licensing, to spur generic competition in order to lower the cost of medicines. But it’s a galling example of bad US policy and illustrates US policy incoherence. The US-Colombia bilateral free trade agreement does not limit Colombia’s right to issue a compulsory license, and there should be no link, either explicitly or implicitly, between US aid for “Peace Colombia” and Colombia’s decision to prioritize public health. Colombia must not be forced to choose between funding the peace process or addressing public health needs!